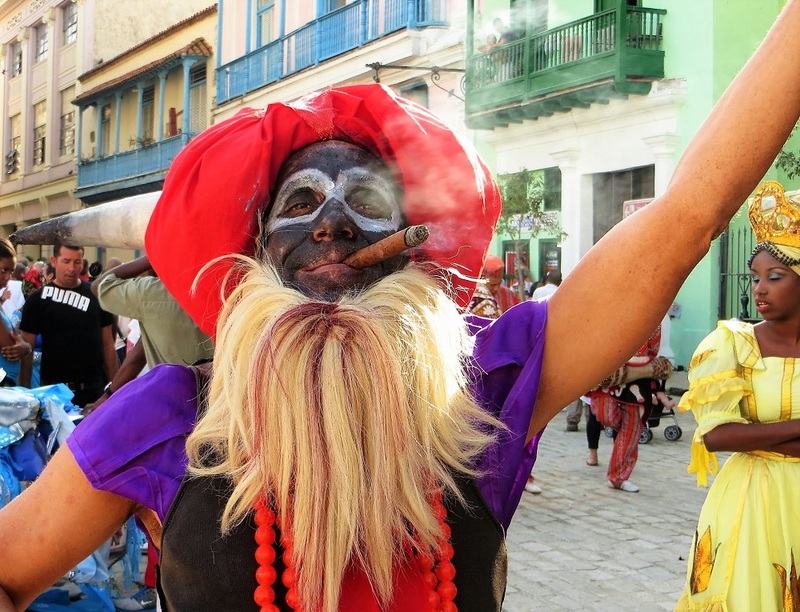 Although it’s not nearly as famous as the world-renowned Rio Carnival, Cuba has its own raucous street celebration, with all the festivity and feasting of its Brazilian counterpart. 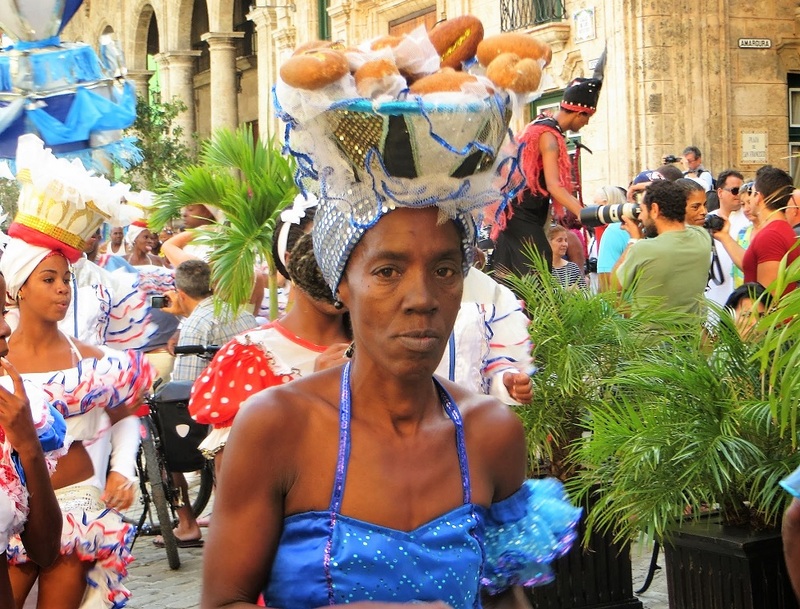 If you happen to be in Havana on January 6 (Three Kings Day or Día de Reyes in Spanish), keep your ears alert for the sound of conga music echoing between the crumbling houses of Old Havana. During the 16th century, slaves from Africa were transported on ships to work on the plantations in Cuba. For centuries afterwards, the slaves and their masters kept their cultures completely separate. 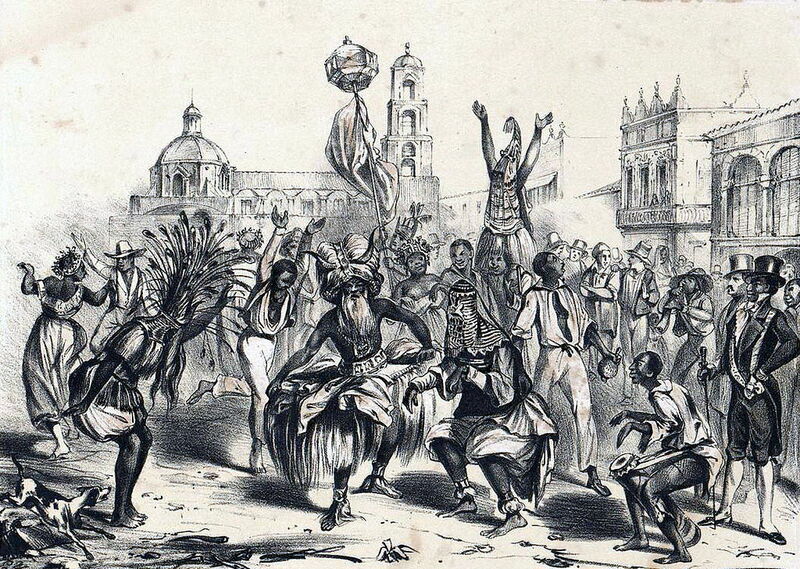 Africans were allowed to organize street processions only on Sundays and major holidays. Three Kings Day during the Epiphany (January 6) was the most important of all, followed by Carnestolendas (a.k.a. Carnival) on Ash Wednesday. Participants in these celebrations were covered in feathered headpieces and African masks with horns and vegetable ornaments. 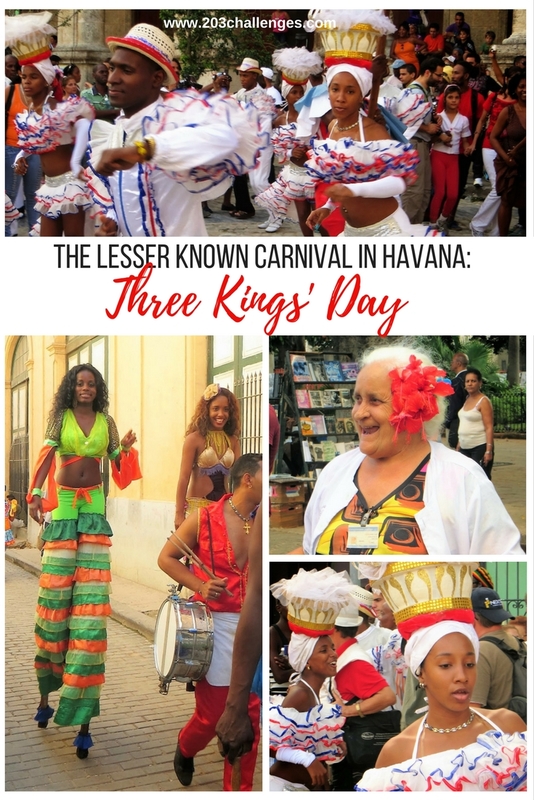 After the 1959 Cuban Revolution, Carnival was moved to July 26. The July rendition of Carnival still takes place, but in recent years the government has allowed modest celebrations in January, too, in order to attract more tourists. Don’t let this mislead you, though; the joy on the faces of the dancers – both professional and amateur – is genuine, if somewhat restrained. Conga music performed by a live band. Locals joining the party and helping you master the dance. Dancers giving you tiny little seashells as a souvenir. January 6, on the streets of Old Havana. The procession moves along for a few hours, starting late in the morning.